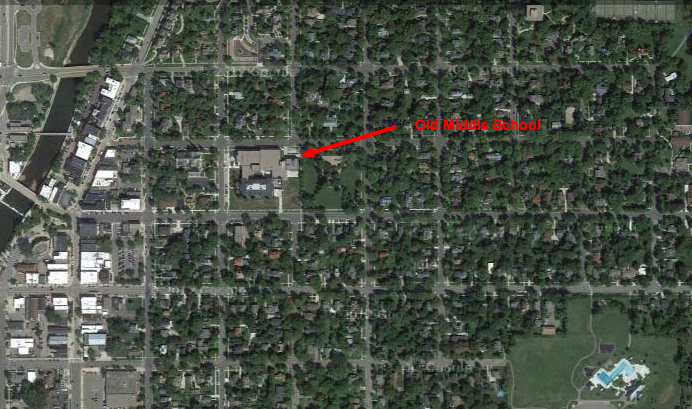 Northfield Middle School tops my list for local planning failures; it “wins” because its location and design shine a bright light on Northfield’s development pattern over the last 25-30 years. There’s a lot to learn from the Middle School. I served on the Planning Commission when the Middle School was in development, but in 2001-3 the Commission’s and neighbors’ questions about increased traffic and connectivity didn’t register in the development culture of the time. Indeed, it’s only in the last few months that I’ve been reading about the importance of school siting and its role in community planning, physical activity, safety and more (in addition to all the other more general information in the last few years about walkable communities). 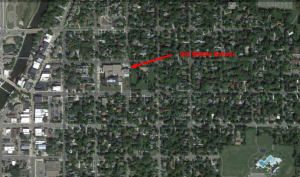 The old Middle School (now Carleton College’s Weitz Center for Creativity) occupied just over one city block – about 3.75 acres – on the east edge of downtown. The original building had been the city’s high school and had been expanded several times, but could no longer accommodate the 1000 students (in a growing town). Students used the city park next to the school and athletic fields about 6 blocks away for sports and PE classes. The new Middle School became the 3rd school in Northfield’s south side campus; the Middle School occupies 60.6 acres at the south end of about 145 acres of school property with Northfield High School at the north end and Bridgewater Elementary School in the middle. 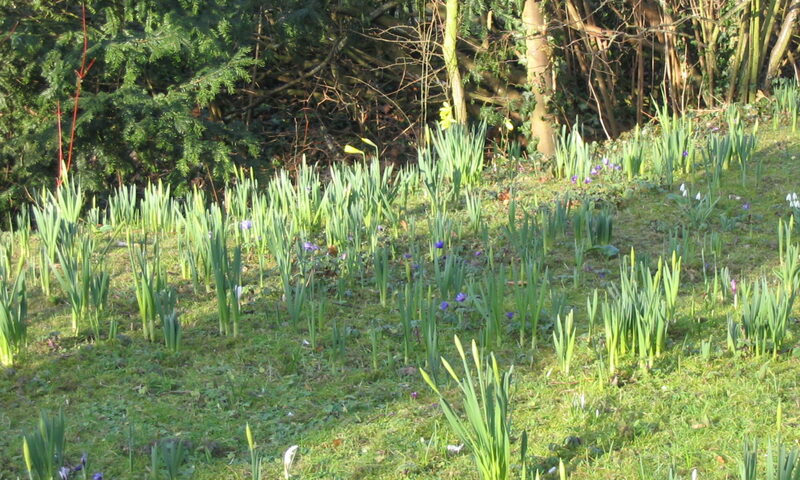 The location at the edge of town was almost guaranteed. 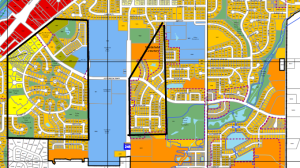 School siting guidelines at the time called for 35-40 acres for a middle school of 1000+ students; Northfield’s 2001 Comprehensive Plan also guided development of schools – because of their traffic impacts – to the edges of residential developments. 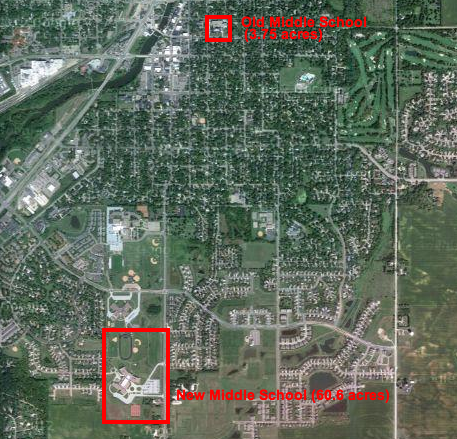 In 2009, after NMS was built, Minnesota removed minimum acreage requirements for school development. Putting the school at the far south edge of town increased the distance to school for many students, but prior planning decisions make the Middle School hard to reach even for those living within sight of the school. 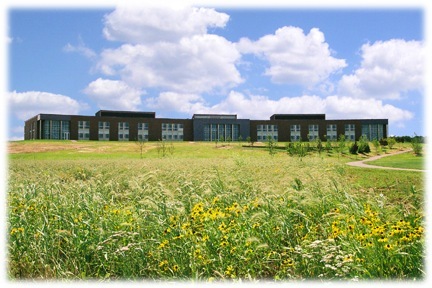 The multischool campus sits on the west side of MN state highway 246; Jefferson Parkway runs between Bridgewater Elementary and the High School. The Middle School’s only entrance is on Highway 246. The residential subdivision to the west was designed with multiple culs de sacs radiating off a single loop of street. 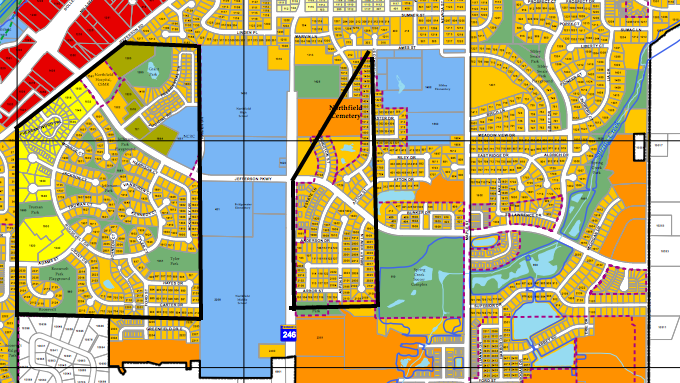 Within the boundaries of the subdivision, there is obvious logic to the arrangement, but there are no opportunities to connect to surrounding destinations. The only one way out is onto Jefferson Parkway which was “improved” when the Middle School was built by adding a median. Unfortunately, the median makes it unsafe to bicycle on the street because the lanes are too narrow to permit a bicycle and car side by side and the median prevents cars from moving left to avoid cyclists. And, more recent research shows that the cul de sac – collector pattern is less safe than a more grid-like pattern which slows and distributes traffic. 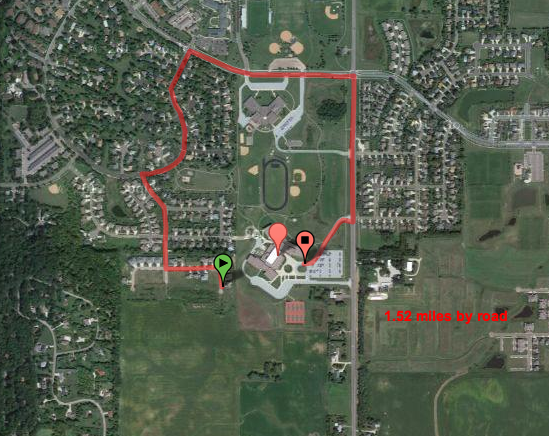 On the plus side, walking or bicycling from this side of the school is relatively easy on well connected off street trails. On the east side of the highway, another subdivision is arranged with long, interlocking streets ending in culs de sac. Again, it makes for pretty patterns within the subdivision, but prevents any continuous north-south travel or east-west connections across the highway. 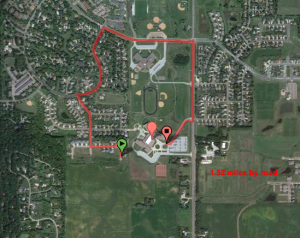 Highway 246 with its 45 to 55 mph speed limits effectively eliminates any pedestrian or bicycle traffic from the east despite off street trails parallel to the road because there is no safe crossing (and the school district buses all students east of the middle school). I’ve blogged about MNDoT’s new attention to context, but this highway predates this approach. The end result: All school automobile traffic must funnel through the Jefferson Parkway/246 intersection. The intersection itself was not redesigned to accommodate walkers or cyclists when schools were built, so this logical crossing point is difficult at best and deadly at worst (there’s been one fatality during school rush hour). What could we do differently for Northfield’s next school? Educate city and school district planners (and the voters who support school bond referendums and city council policymakers) about how can good school locations coupled with transportation planning can help improve traffic safety, public health, and quality of life. Serendipitously, Northfield school board member Rob Hardy just blogged about the district wellness policy: “all students in grades K-12 will have opportunities, support, and encouragement to be physically active on a regular basis.” One way is to have physical education classes and sports teams; another is to think about siting and designing schools to make it easy to walk or bicycle to reach them (Here’s a summary of issues from the Safe Routes to School partnership). Collaboration should be next: As in most places, the city and school district in Northfield haven’t collaborated in planning (here’s another take on this). In 2009, the city and school district did work together on a Safe Routes to School planning grant; the resulting plan outlines improvements we can make to improve bike and pedestrian access to the current schools, but thinking ahead, we should want to avoid the need for retrofits by planning schools on safe routes to begin with. Long-term costs should be evaluated: Yup, it costs lots of money to redesign intersections and build bike/ped facilities. However, there are also the costs to bus students who might be able to get to school on foot/bike with safer routes, the public health costs of pollution, obesity, etc. from car-reliant transportation. How can the next school incorporate long-term thinking about where to locate and how to connect the school to the community which could avoid the need for retrofits later and realize some of the community benefits immediately?